Skirt: Akira Chicago; Top: Nordstrom; Jacket: Nanette Lepore; Bag: YSL; Shoes: Louboutin. I channeled my inner Carrie Bradshaw this weekend when I attended The Joffrey Ballet’s performance of The Nutcracker. 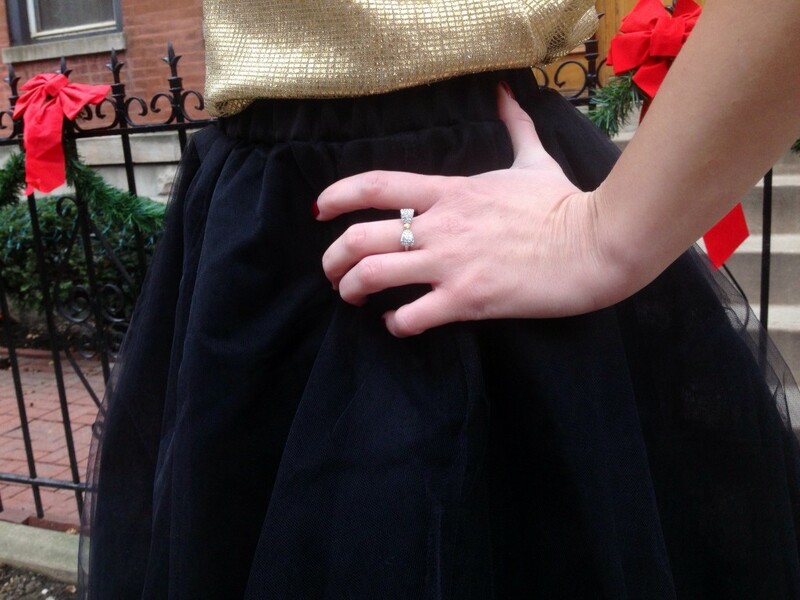 I paired a gold top from Nordstrom with my favorite look for this holiday season — a huge tulle skirt. While it definitely spilled over into the seat next to me, this skirt screams holidays and looked great paired with a wool Nanette Lepore blazer. You look gorgeous and so poised in that skirt!